Taken during vacations in Munnar, South India (19-25 March 2012). After reading Voices Of The Dead by Peter Leonard, I decided that I was going to pick all his books. So when I was offered to review All He Saw Was the Girl, I was thrilled. I was notdisappointed at all! I had a roller coaster ride throughout the novel. It has the ingredients of an action movie. Drug Mafia, kidnapping, car chasing, and a love story. And all that happens in Italy, that too due to a misunderstanding! One American exchange student is kidnapped by mistake and ransom is paid for him. He feels bad about that and decides to get back the money. Without any help from anyone, he takes on the kidnappers and gets involved with the drug mafia, all by himself. The story jumps from one character to other but it is seamless and certain situations are so hilarious that I chuckled loudly while reading!! Here the black and white smudges into grey. No one is perfect and also no one is totally black, other than the mafia, of course! Seemingly distant situations are related in a such a way that one feels tickled by it. What appealed to me most was the sarcastic way of thinking by the various characters. That alone makes the novel very delightful!! I am going to read all of Peter Leonard's novels!! My mom taught to read the alphabets, dad used to get me kiddie story books. My brothers read them aloud for me. And when I started to all on my own, I do not really remember. The above too, I have told by my dad. I do recall my dad telling us stories from the Hindu Scriptures. Till date, I can recall each and everything he narrated to us. I did read the scriptures at a later date. Today I showcase The Noah's Ark Quest by Boyd Morrison (UK), which I received from Hachette India. 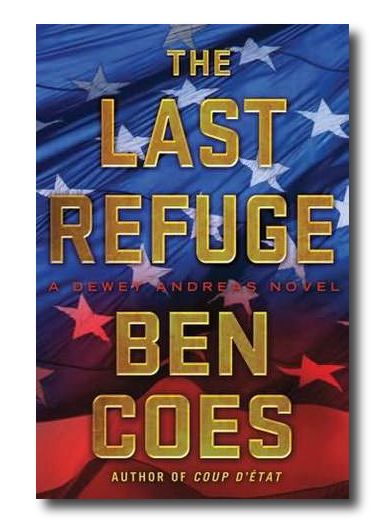 This novel is titled The Ark for US editions. When brilliant archaeologist Dilara Kenner is contacted by Sam Watson, an old family friend who says that he has crucial information about her missing father, Dilara abandons her Peruvian dig and rushes to Los Angeles to meet him. But at the airport, Sam speaks instead of Noah's Ark—the artifact her father had long been searching for—and the possible death of billions. Before Sam can explain, he collapses. With his dying breath, he urges Dilara to find Tyler Locke—a man she's never heard of. I have Shantaram by Gregory David Roberts in my bookshelf, for the last 6 years or so. I pick it up and put it back again because of the sheer volume. I do plan to read it some time soon. Crime and punishment, passion and loyalty, betrayal and redemption are only a few of the ingredients in Shantaram, a massive, over-the-top, mostly autobiographical novel. Shantaram is the name given to Mr. Lindsay, or Linbaba, the larger-than-life hero. It means "man of God's peace," which is what the Indian people know of Lin. What they do not know is that prior to his arrival in Bombay he escaped from an Australian prison where he had begun serving a 19-year sentence. He served two years and leaped over the wall. He was imprisoned for a string of armed robberies peformed to support his heroin addiction, which started when his marriage fell apart and he lost custody of his daughter. All of that is enough for several lifetimes, but for Greg Roberts, that's only the beginning. He arrives in Bombay with little money, an assumed name, false papers, an untellable past, and no plans for the future. Fortunately, he meets Prabaker right away, a sweet, smiling man who is a street guide. He takes to Lin immediately, eventually introducing him to his home village, where they end up living for six months. When they return to Bombay, they take up residence in a sprawling illegal slum of 25,000 people and Linbaba becomes the resident "doctor." With a prison knowledge of first aid and whatever medicines he can cadge from doing trades with the local Mafia, he sets up a practice and is regarded as heaven-sent by these poor people who have nothing but illness, rat bites, dysentery, and anemia. He also meets Karla, an enigmatic Swiss-American woman, with whom he falls in love. Theirs is a complicated relationship, and Karla’s connections are murky from the outset. "But for now it would wait till tomorrow's funeral. We'd bury Stephen in peace, without a father, the way he was born." Stephen Newby's body is found in River Yamuna. His best friend and flatmate, Ruby Jones cannot understand the reasons. She goes sleuthing on her own to find out. As the title suggest, it is supposed to be murder mystery, which should keep the reader in tenterhooks. But no such thing happens. Ruby Jones, who aspires to be an international news journalist, is not interesting enough. Her musings do not do anything for the suspense element which should have been there. As ashrams go, this shows the dark side of a well known one. Stephen and Ruby were regulars there, both in love with a wannabe Guru, Rani. Stephen was in search for his unknown father. The reader can make out, who is his father right from the beginning. I live in Delhi, and the geographical descriptions left much to be desired. There are major discrepancies. Wazirabad bridge is no where near Dakshinpuri. Mckaul did not do much research in that arena. This fact alone made me want to shout!! One can read it as a travelogue if one is so interested, but I say don't waste your time. I am not going to pick any other book by this author. EVER. Unless you pay me million dollars! Mailbox Monday was created by Marcia at A Girl and Her Books. 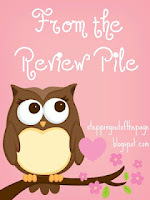 Marie at Burton Book Reviewis hosting MM for June starting today. 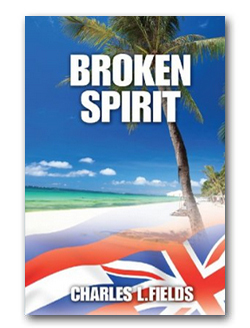 Broken Spirit by Charles L. Fields: Charles Stone, Boston lawyer and sculptor, travels to Hawaii for a much needed vacation after performing two life threatening assignments for Franklin life Insurance Company. What is thought as paradise becomes a tropical hell and once again Franklin life has to call on this experienced investigative attorney for help. Stone is woven through a tapestry of racial discontent to confronting a radical movement trying to secede as the 50th state. 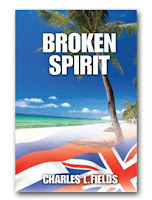 He finds the cultural melting pot boiling over, threatening tourism and other island businesses and encounters violence and tragedy. 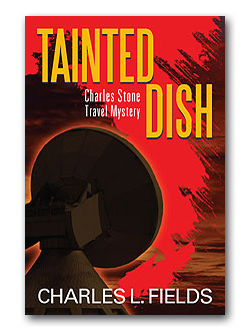 Tainted Dish by Charles L. Fields: Charles Stone, Boston investigative lawyer and sculptor, takes on the case of a personal friend and recent widow. She’s battling an unscrupulous business partner and is desperately trying to save the company, Unitreq from financial collapse. Stone becomes involved in military industrial espionage, several murders and a bounty hunt that takes him and his sidekick Army Special Forces Sergeant, Bo Jackson, on a chase through the Maritime Provinces of Canada, as well as Ireland and Europe. Stone receives much needed assistance from his law partners and Franklin Life Insurance Company’s security team, a little known Department of Defense agency known as DARPA, WikieLeaks.org and Interpol. The use of combined forces helps bring an end to several diabolical plots. 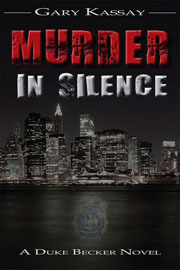 Murder In Silence by Gary Kassay: When two police officers are found with their throats ripped open with surgical precision, there are no witnesses to the crime and no connections between the dead officers. Left with two clues that make no sense, Inspector Duke Becker is about to face a diabolical killer whose rampage has just begun. The tenacious Becker, head of the NYPD's Special Investigations Unit's Homicide Division, is proud of his impeccable record for solving unusual or high profile murders. But the bulldog detective may be facing the most challenging case of his career as he desperately searches to either find some connection between the two murdered cops or deal with the less than desirable alternative-that someone is randomly killing cops for no reason whatsoever. With only bizarre clues to follow, Becker and his squad immerse themselves in a deadly race to stop a killer before another police officer's throat is brutally slashed and the city of New York is thrown into turmoil. 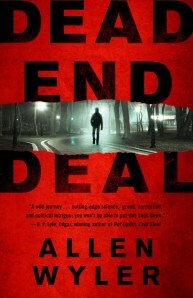 Dead End Deal by Allen Wyler: World renowned neurosurgeon Jon Ritter is on the verge of a medical breakthrough that will change the world. His groundbreaking surgical treatment, using transplanted non-human stem cells, is set to eradicate the scourge of Alzheimer’s disease and give hope to millions. But when the procedure is slated for testing, it all comes to an abrupt and terrifying halt. Ritter’s colleague is gunned down and Ritter himself is threatened by a radical anti-abortion group that not only claims responsibility, but promises more of the same. Faced with a dangerous reality but determined to succeed, Ritter turns to his long-time colleague, corporate biotech CEO Richard Stillman, for help. Together, they conspire to conduct a clandestine clinical trial in Seoul, Korea. But the danger is more determined, and more lethal, than Ritter could have imagined. After successful surgical trials, Ritter and his allies are thrown into a horrifying nightmare scenario: The trial patients have been murdered and Ritter is the number one suspect. Aided by his beautiful lab assistant, Yeonhee, Ritter flees the country, now the target of an international manhunt involving Interpol, the FBI, zealous fanatics and a coldly efficient assassin. Sometimes I do set goals and finish it well in time. But when I a was undergoing a reading block, the goals were unrealistic. All I wished for was to, read. Just read. My vacations are almost over. One more week and then back to routine. I have mixed feelings. I suppose that happens to all of us. It was not a bad week. I read three books, on my fourth. I don't know if I will finish it today or not. Life gets in the way, you know!! I have a bit of good news to share. 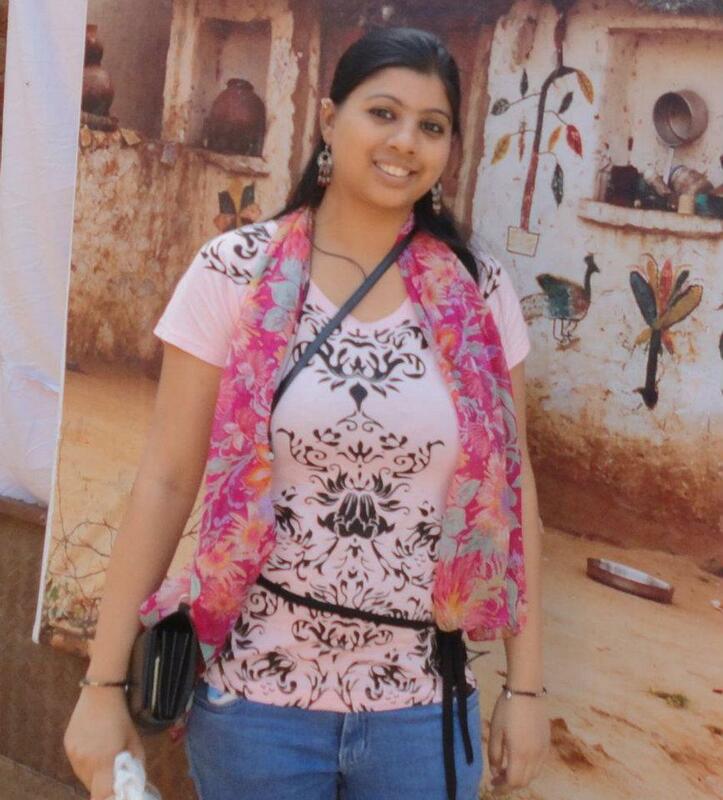 My eldest niece is going to be engaged on the 3rd July, 2012. Wedding date has not been fixed. My brother and SIL will do a PUJA tomorrow. It is the first wedding in the next generation, so we all are very happy! Next few days are going to be hectic. Well, let us see if I get to read much or not. Q. 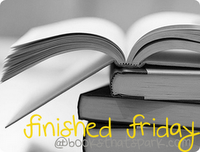 If you could unread a book, which one would it be? Is it because you want to start over and experience it for the first time? Or because it was THAT bad? 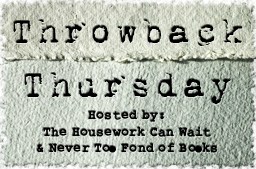 Authors Are Our Celebrities: Have you ever contacted with an author you admired? How did that experience go? 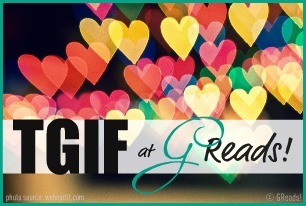 If not, which author would you love to have a chat with? 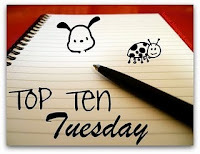 Due to book blogging I have in touch with authors of my favourite genre, which includes poets. I have had quite good responses from most. I don't really wish to chat with any one! Would rather read their books in that time! IT'S THE HOLIDAY SEASON and as winter falls starkly over Boston, Sweeney's worried about her career and grappling with some personal demons. When her best friend shows her photographs of an atypical gravestone in a seemingly idyllic Vermont town that was once a famous arts colony, she's interested enough to look into the history of the bizarre monumental sculpture — and the life and untimely demise of the young artist's model buried beneath it. But her inquiries are followed by a suspicious death, and as Sweeney becomes more and more obsessed with the anomalous stone, she is drawn to Vermont and into a hundred-year-old murder mystery and the lives of a family and their neighbors in the colony. 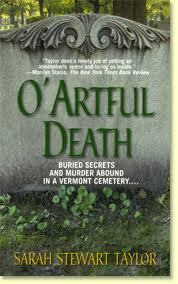 Before long, she has another murder on her hands and she's in a race to find out the truth about the gravestone. 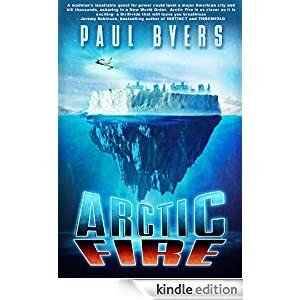 Today I am showcasing Artic Fire by Paul Byers. I received it from author. I couldn't get around it due to a massive reading block. Capturing all the rueful irony and racial ambivalence of small-town Mississippi in the late 1950s, Melinda Haynes' celebrated novel is a wholly unforgettable exploration of family, identity, and redemption. Mother of Pearl revolves around twenty-eight-year-old Even Grade, a black man who grew up an orphan, and Valuable Korner, the fifteen-year-old white daughter of the town whore and an unknown father. Both are passionately determined to discover the precious things neither experienced as children: human connection, enduring commitment, and, above all, unconditional love. A startlingly accomplished mixture of beauty, mystery, and tragedy, Mother of Pearl marks the debut of an extraordinary literary talent. Most in my list are Crime Fiction. No surprise there..
much like a sextant under the wet stars." Real Courage is a chapbook and the poetry in there is very very different, with many layers. At one place, it might seem very simple and next line completely surprises us. This well depicts who is uncivilized. About Michael Meyerhofer: Michael Meyerhofer's third book, Damnatio Memoriae, won the Brick Road Poetry Book Contest. His previous books are Leaving Iowa (winner of the Liam Rector First Book Award) and Blue Collar Eulogies (Steel Toe Books, finalist for the Grub Street Book Prize). He has also published five chapbooks: Pure Elysium (winner of the Palettes and Quills Chapbook Contest), The Clay-Shaper's Husband(winner of the Codhill Press Chapbook Award), Real Courage (winner of the Terminus Magazine and Jeanne Duval Editions Poetry Chapbook Prize), The Right Madness of Beggars (winner of the Uccelli Press 3rd Annual Chapbook Competition), and Cardboard Urn (winner of the Copperdome Chapbook Contest). 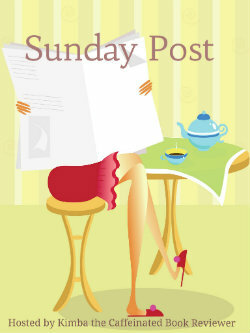 Mailbox Monday was created by Marcia at A Girl and Her Books. Marie atBurton Book Reviewis hosting MM for June starting today. Sarah Brandt’s family is one of the oldest in New York City, and her father, Felix Decker, takes his position in society very seriously. He still refuses to resign himself to his daughter being involved with an Irish Catholic police detective. But when a member of his private club—the very exclusive Knickerbocker—is murdered, Decker forms an uneasy alliance with Detective Sergeant Frank Malloy to solve the crime as discreetly as possible. Malloy soon discovers that despite his social standing, the deceased—Chilton Devries—was no gentleman. In fact, he’s left behind his own unofficial club of sorts, populated by everyone who despised him. As he and Sarah sort through the suspects, it becomes clear to her that her father is evaluating more than the detective’s investigative abilities, and that, on a personal level, there is much more at stake for Malloy than discovering who revoked Devries’ membership—permanently. Do you think the book cover is “dead”? 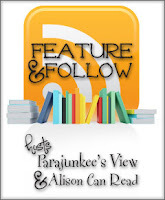 Do you care whether the “covers” on digital books exist or not? I am a real book junkie! I don't prefer to read digital books. I agree that one does not forget the author, title or cover of a print book. For digital ones, one does not remember. Life is kinda hectic, what with guests and all. It is hot too, the temperature hovering between 42 degree celsius to 45 degree celsius (107-114 F). Impossible to go out in the day time. Thank God I have summer vacations. Sometimes I feel too hot to read or do much else. There is some problem with our AC. It is behaving erratically. The repair guy is too long to get here! What do I plan to do in the coming week? To read more, to write more. To catch up with all my pending work before school reopens in two weeks time. Today it is my younger brother's birthday. So we will celebrate it by going out for dinner. He invited us first thing in the morning. Have a Wonderful Birthday, Brother. May you be always blessed!! My brother, Moi and SIL, ain't she pretty? My Cousin! Hope he does NOT kill me! Same one, now aptly dressed! Isn't it good to have extended family? He is 10 years younger but looks 5 years older!!! And I gotta hide before he finds out I posted his pictures here! 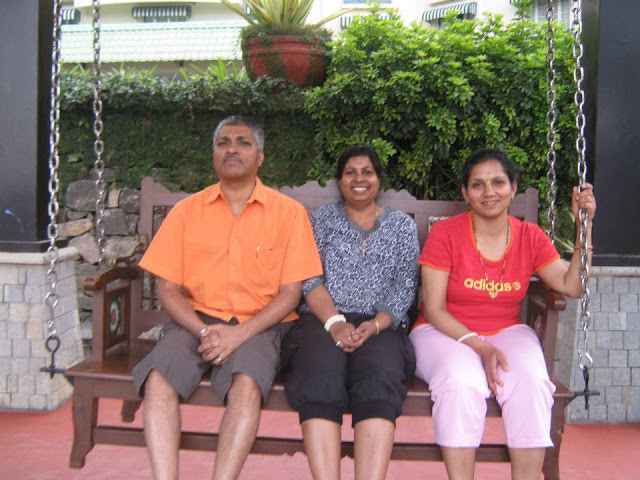 Taken during vacations in Orissa (03-10 Dec 2011).